The Income Tax raids were conducted just one day before Tamil Nadu goes to polls on Thursday, April 18. In its latest operation, the Income Tax officials raided a leader of TTV Dhinakaran's (Amma Makkal Munnetra Kazhagam) AMMK party in Andipatti near Theni district in the state during early hours of Tuesday, April 16. Interestingly, the raids were carried out a day before Tamil Nadu goes to polls on Thursday, April 18. "After we got information that a huge amount of unaccounted cash has been kept in a shop owned by an AMMK worker, we raided it. 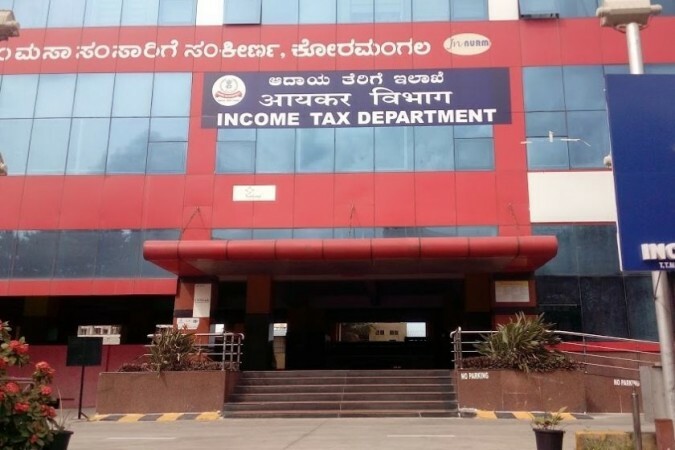 During the nine-hour-long raid, the I-T department seized the cash packed in 92 covers," Pallavi Baldev, returning officer of the IT department was quoted as saying by Hindustan Times. The Income Tax department recovered Rs 1.48 crore from one of the shops owned by him. The IT department also detained four AMMK workers when they allegedly tried stopping the officials from entering the shop. 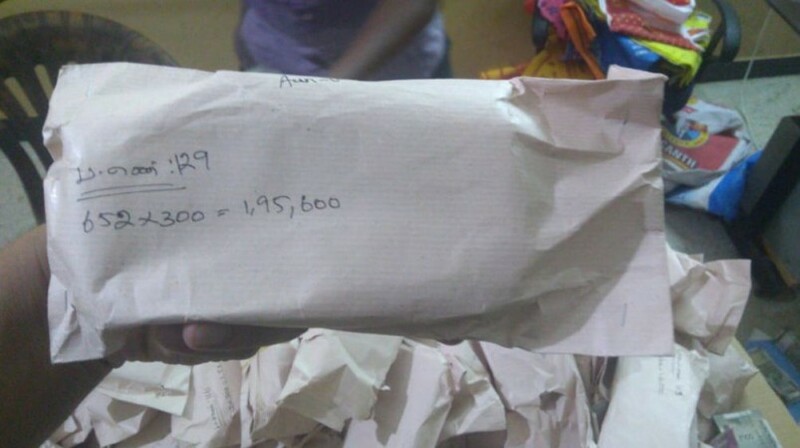 According to reports, the cash was segregated into piles labelled with names of voters and the wards they belong to as well as their addresses. Each voter was allegedly supposed to receive Rs 300 for their vote for AMMK. The IT department's B Murali Kumar said that a statement was recorded by a person who swore that Rs 2 crore was stashed in the godown in Adipatti. "When I-T and EC officials tried to access the shop, a gang blocked them. 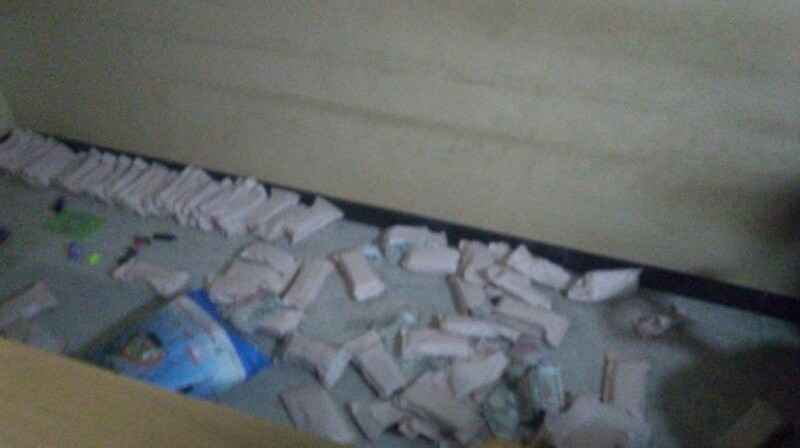 A few also tried for run-away with cash bundles. Therefore, the police force which accompanied the officials opened fire in the air as a precautionary measure," Baldev said. The AMMK leaders denied having the cash and said that they pointed out to the Election Commission that it was AIADMK who was stashing the money. However, the AMMK party workers were caught. "We have not kept any money in our place. As we had noticed that the AIADMK's workers have kept money, we informed the flying squad of EC. However, they are accusing us," AMMK by-poll candidate Jayakumar said. The IT raids were also carried out at DMK leader, Kanimozhi's residence in Chennai. The IT department had conducted the raid under a tip-off that huge stacks of cash were stashed on the first floor of her home. The IT department had also mentioned that there was a lot of money in her residence in Tuticorin as well. However, they said that the information was false. Kanimozhi will be contesting the elections from Tuticorin Lok Sabha constituency on April 18, Thursday. "The Election Commission and Income Tax department have become part of the Modi alliance… They are trying to terrorise opposition parties," Kanimozhi, the sister of DMK chief Stalin told reporters. Stalin added, "Crores and crores of rupees are kept in the house of Tamilisai Soundararajan's (state BJP chief) residence, why no raids there? Modi is using IT, CBI, judiciary and now Election Commission to interfere in the elections. They are doing this as they fear to lose." The Election Commission came down heavily on the Vellore district by cancelling the elections in the district after Rs 1.48 crore was recovered from a godown there. The godown belonged to people associated with Kathir Anand, the son of DMK treasurer, Durai Murugan. Durai Murugan was already under the radar of the Election Commission after Rs 10.50 lakh in cash was recovered from his residence. According to reports, this is the highest amount of money recovered from a party in a single raid during this election season.